The hamstring muscles are located opposite the femoral quadriceps muscle in the thigh. The hamstrings bring together the biceps femoris, semitendinosus, and semimembranosus muscles. The hamstring muscles begin at the hip and end in the fibula and tibia. The sciatic nerve is attached to the hamstring muscles. These muscles enable the external rotation and flexion of the knee, as well as for the extension of the hip and femur. 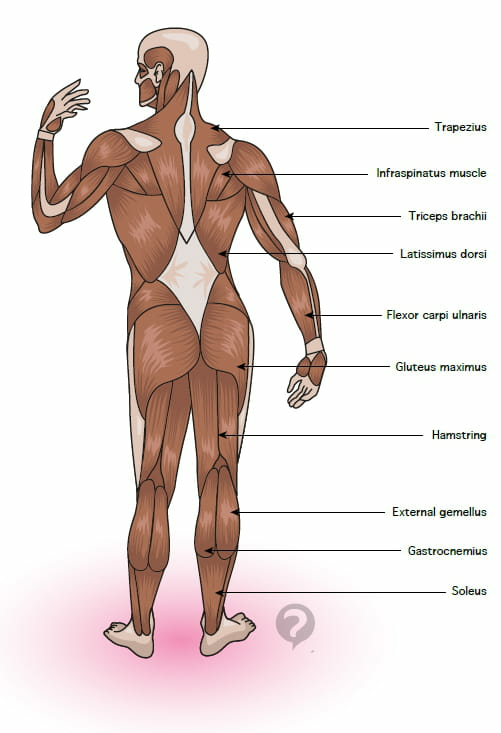 This document, titled "Hamstring muscles," is available under the Creative Commons license. Any copy, reuse, or modification of the content should be sufficiently credited to CCM Health (health.ccm.net).